Part of the site on which Habitat was built was reclaimed from the St. Lawrence River by landfill. The main supports of the structure are reinforced concrete piles that penetrate down to the bedrock level. The foundation, basement and second floor plaza were cast directly on site. Triangular cut-outs on the plaza level allow natural light to penetrate the covered parking and service areas located below. Most of Habitat was completed in time for Expo '67. Its first precast concrete box was hoisted into place on April 7, 1966, and its last on February 28, 1967. The entire structure of this first phase was erected in ten months and twenty-one days. Each box-module weighed 63.5 metric tons (70 tons). 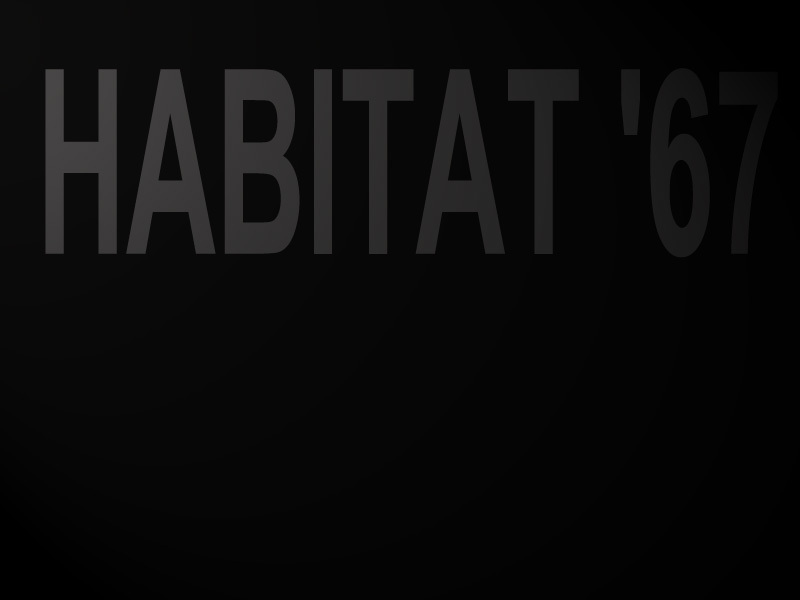 Habitat's north cluster was only completed after Expo '67, in 1970.